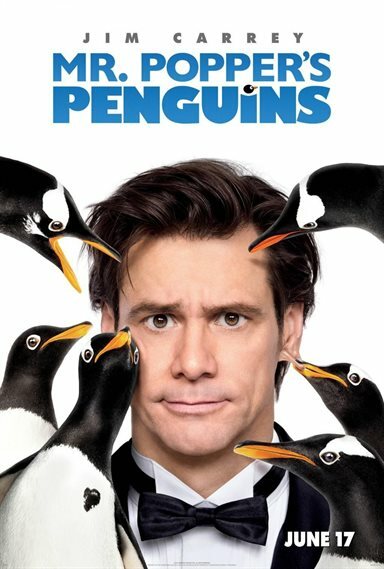 Download Mr. Popper's Penguins in Digital HD from the iTunes store. Mr. Popper's Penguins images are © 20th Century Fox. All Rights Reserved. 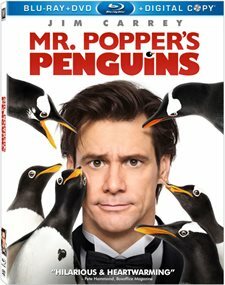 For the holidays, Fox has released Mr. Poppers Penguins in Blu-ray combo packs, Blu-ray and DVD's. It's true family fare and a fun gift for the youngsters. The combo pack has the film in both Blu-ray and DVD and includes a digital download disc as well. The film stars Jim Carrey as Tom Popper a guy who's had a tough life growing up due to an absent father that has traveled around the globe for his job. Now a father of two he's at the top of his game of buying property in New York City. He gets a call one day from a lawyer telling him his father has died and in the will he has sent him something. In the meantime his bosses have set up a challenge that if Tom can get a client to sell their property located in central park, they will make him a partner. When a crate comes with a Penguin in it, the surprise sets off a chain reaction leading all the way to his family and career. The funny little film is meant for children and those best to endure the antics of the pesky penguins range from 4 to 12 years old. The Blu-ray package provides the best option and has a lot of bonus features that are aimed at the kids and adults with a child inside themselves. I liked the three features that show how the penguins were used in the making of the film called The Legacy of Mr. Popper's Penguins, Ready for their Close-up and Ladies and Gentoomen. 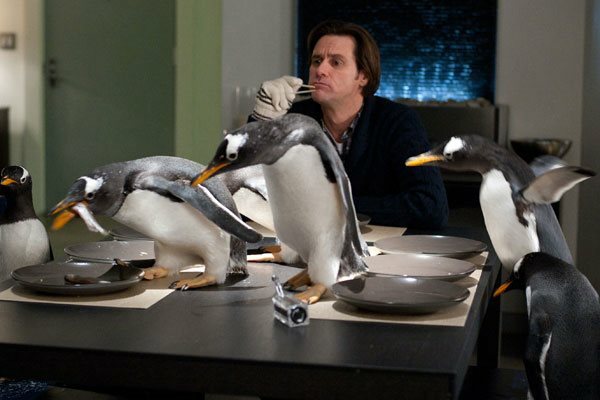 Mr. Popper's Penguins did very well at the world wide theatrical box office raking in over $178 million. It was a kid favorite and ended with a US ranking of 44 in the top 100 films of 2011. The following are a complete list of Special features on the Blu-ray Combo Pak. The antics of Jim Carrey are what you expect to see so you won't be disappointed there, but the story doesn't really have the oomph that we expect from one of his films. It may have been the difficulty in the making of the film or the script itself, but the film gets very predictable and far-fetched for adults. But that's the beauty of home entertainment; just plunk the Blu-ray into the tray, press play and surprise, an instant baby sitter for and hour and a half. Mr. Popper's Penguins is rated PG for some rude humor and language. One thing I love… it fits my whole big screen, no letterbox or sidebars. Mr. Popper's Penguins images © 20th Century Fox. All Rights Reserved.